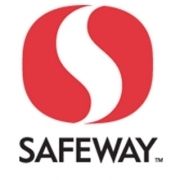 Safeway, Inc. is one of the most successful food and drug retailers in North America and is headquartered in Pleasanton, California. From our first store in 1915, our employees are the driving force behind our incredible success as their professionalism, passion, and ambition have helped us become a Fortune 100 company with over 1,700 locations across the United States and Canada. Given the competitive business landscape, it is becoming increasingly important to focus on hiring exceptional talent. A key component of our strategy includes recruiting and developing trained leaders. Confident, responsible, ethical, courageous, inspiring, and committed to excellence – as a military service member, you are a leader. These are the characteristics that make Safeway employees successful as we, too, are dedicated to world-class service.